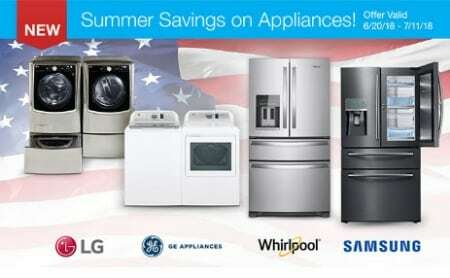 Our Appliances Summer Savings Event is Here! Hurry in and shop our summer savings on appliances! Not all items are available at all Costco locations and selection and pricing may vary. Prices in Alaska and Hawaii may be higher than the advertised price. Reflects the customer average rating as of 6/20/2018.